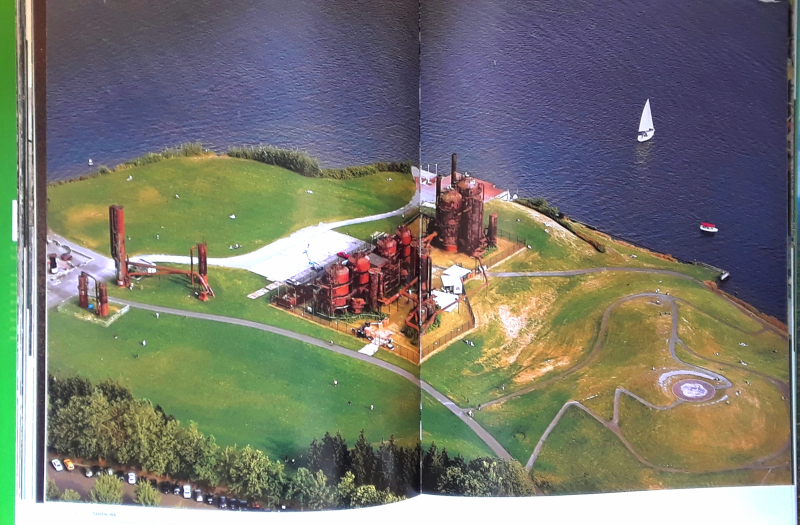 Although the types of imagery are different, the satellite images of City Unseen reminded me of the aerial photography of Alex S. MacLean, particularly his large-format Over. Where the former collects satellite images in various wavelengths to show, for instance, the "vulnerabilities of cities to the effects of climate change," the latter finds MacLean pointing his camera at parts of the United States that express the sprawl and destruction we have unleashed across it, from the Atlantic to the Pacific. 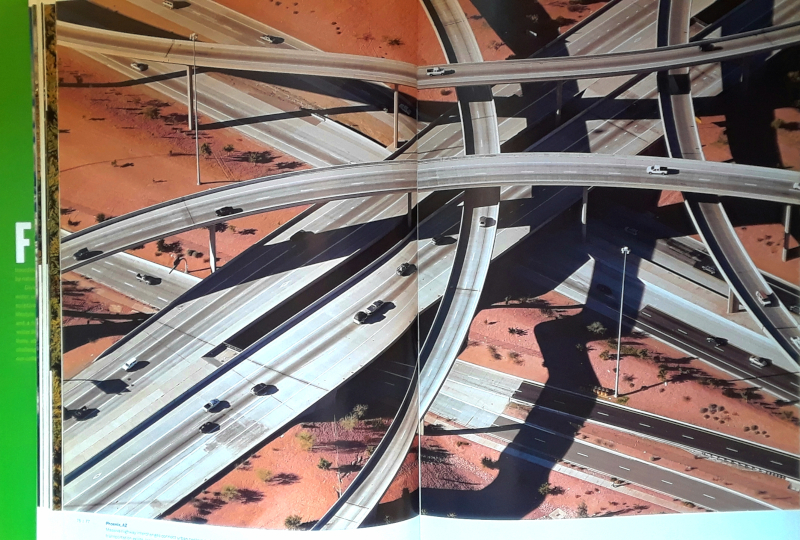 The book's subtitle, The American Landscape at the Tipping Point, makes it clear this isn't a celebratory book, but MacLean's photos of highway interchanges and the like are nevertheless full of beauty. And even when we think we're looking at a piece of untouched nature, such as the snowy peaks of the Rockies, the photographer's captions link the photos to one of the themes explored in this book of "aerial activism." 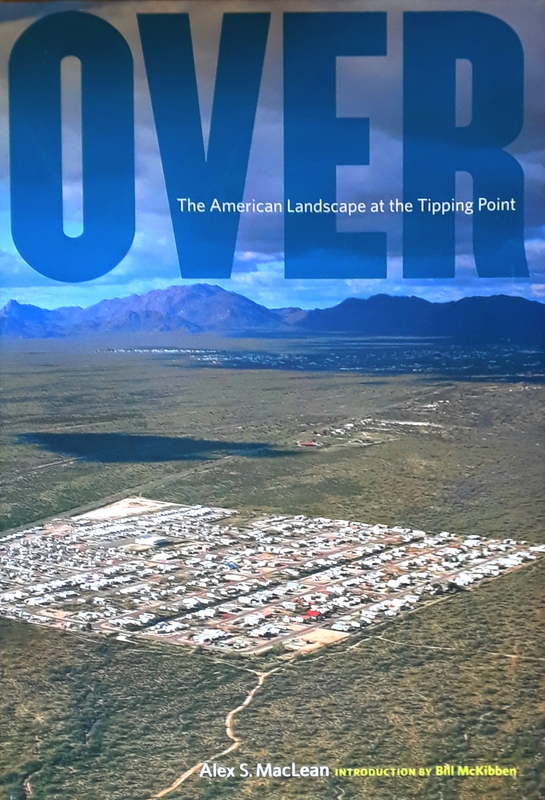 The years, or maybe decades, of MacLean's aerials photos collected in Over are clustered in Arizona, Florida, and other fraught areas. 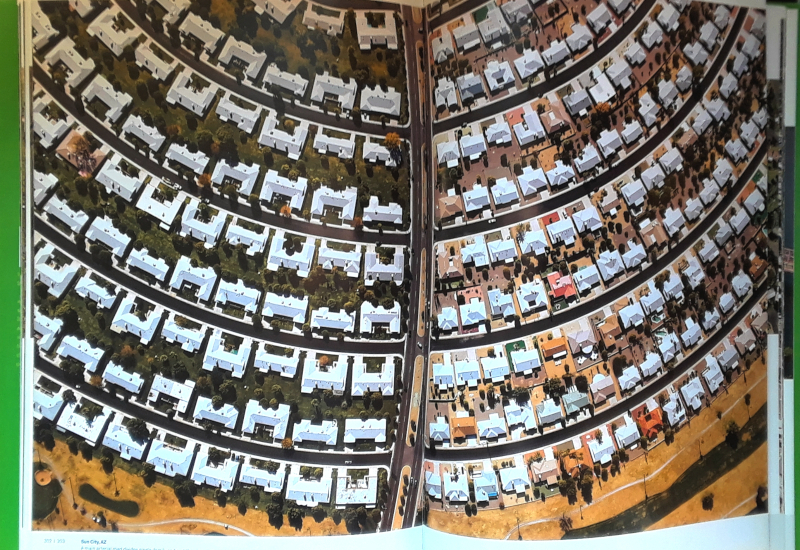 They are spread across nine thematic chapters (atmosphere, ways of life, automobile dependency, electricity generation, deserts, water use, sea-level rise, waste and recycling, urbanism) and are accompanied by, as noted, short captions. 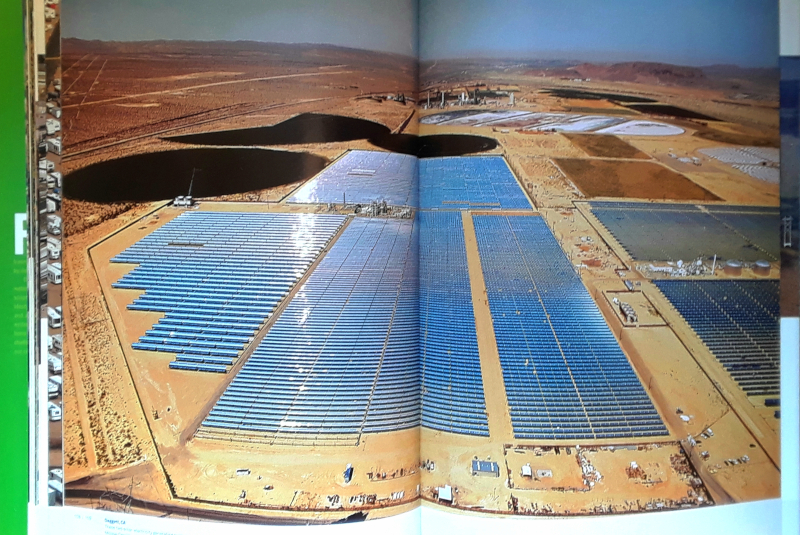 Given that the only other text is a short introduction by Bill McKibben (he seemed to write an intro to every environmentally minded book last decade), these captions are important in conveying information we might not immediately grasp. Regardless, the ideas MacLean is trying to express are often very clear. MacLean's photos convey the scale and circumstance of our impact on the land while still portraying its beauty, though their impact would be strongest if they swayed Americans in their choices about where they live, work, shop and play. Pilot and photographer, Alex MacLean, has flown his plane over much of the United States documenting the landscape. Trained as an architect, he ... maintains a studio and lives in Lincoln, Massachusetts.